Vancouver’s cruise industry seems well positioned for growth if city planners accommodate rapid expansion plans for the Columbia River vacation cruise business. A record 23 million passengers are expected to sail in 2015, with 61 percent of North American CLIA-certified travel agents reporting an increase in 2015 travel bookings over this time last year. Cruise lines are enticing travelers with nearly 1,000 ports of call in new, exotic locations, especially in the fast-growing Asian market. CLIA also revealed that member cruise lines are scheduled to debut 22 new ocean, river and specialty ships in 2015 for a total investment of more than $4 billion. The cruise industry this year will have major economic impact globally. In 2013, the global economic output of the cruise industry was more than $117 billion;the industry supported nearly 900,000 jobs and contributed to $38 billion in wages. 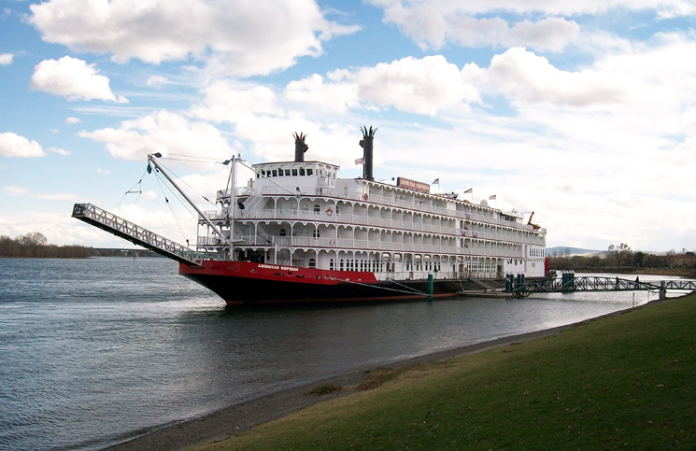 According to the Vancouver Business Journal, a “high-dock” at the Red Lion at the Quay in Vancouver hosts weekly visits from the 223-passenger paddle-wheeler American Empress, which operates on the Columbia between Vancouver and Clarkston from May through mid-November. Its owner, Memphis, Tenn.-based American Queen Steamboat Co., expects to bring a 175-passenger ship to the river next year. International operator, Viking River Cruises, is rumored to be eyeing the Columbia for expansion in the next two years, as are others. Cruise ship calls have a tremendous multiplier effect with spin-off benefits for hotel rooms and spending on on-shore meals as well as in downtown retail stores. Ship supplies purchased locally include regional wines, floral arrangements and on-board food, said Jacob Schmidt, spokesman for Visit Vancouver USA. The agency estimates that the American Empress is generating $480 per passenger per visit in economic impact. Ship calls over the past two years have contributed an estimated $1 million to the local economy, he said. Both Anderson and Schmidt hope that a new master plan being developed by the Port of Vancouver for 13 waterfront acres at Terminal 1 where the American Empress docks will someday accommodate at least two cruise ships, simultaneously. The port, which owns Terminal 1 and the Quay property, has hired NBBJ, a Seattle architectural and design firm, to lead the master planning process. The port hosted a preliminary “visioning” open house on May 26. A larger public outreach event is scheduled June 18 on the waterfront, said Katy Brooks, the port’s director of economic development. River cruise operators also see growing opportunity on the Columbia River. According to TravelAge West, an industry publication, Viking, which operates 60 river vessels worldwide, is expanding to 100 vessels by 2017. The company will be on the Mississippi River by 2017 and is considering the Columbia River, as well, the magazine reported. Some Viking vessels carry as many as 300 passengers. Connecticut-based American Cruise Lines will have two new ships on the water next year with one of them in the Pacific Northwest. Vancouver seems to be well positioned to gain more cruise business because of its historic attractions including Fort Vancouver National Historic Site and also because of lower food and lodging costs. Will you be taking a River Cruise this summer. Tell us about it.